Rizzo was Philadelphia police commissioner from 1968 to 1971 and mayor from 1972 to 1980. 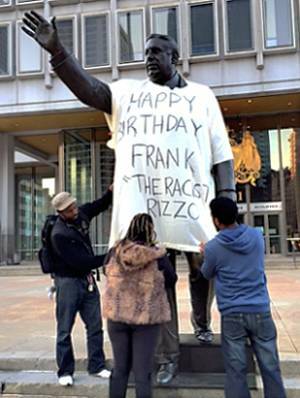 In both roles, Rizzo targeted Black activists, including the Black Panther Party and MOVE, with harassment, beatings and arrests. A Pulitzer-Prize-winning expose by the Philadelphia Inquirer exposed that rampant police brutality was covered up under the Rizzo administrations.